Ahh, cucumber raita. A dish as cool as a…well, a cucumber. A cucumber that’s been dipped in yoghurt and kept in the fridge. Refreshing, and certainly pleasing on the palate too. Some people say I’m obsessed with Indian food. That’s not true. I just love it. And think about it all the time. And try as many different types as possible. That’s not obsession, is it? Raita itself is a side dish to the main meal, usually a curry (for me, at least). It comes in various guises, much like it’s sister dish, chutney. Generally made from vegetables and yogurt, raita can be customised almost anyway you like it. 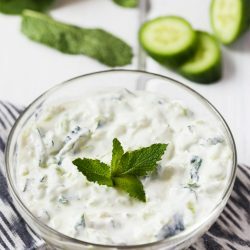 I particularly like this cucumber raita as it’s exceptionally quick to make, and the smooth taste of mint and cucumber fit to almost any main meal. The choice of curry, is important too. If you have your own favourite, great. If you’re still looking then I have several to recommend depending on the situation. Hands down, the most popular curry on the blog is the vegan chickpea curry – and for good reason. 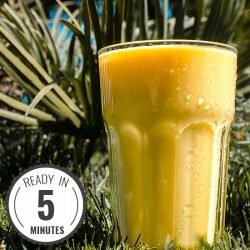 It’s incredibly tasty and hard to get wrong – meaning good results each time without trial and error. 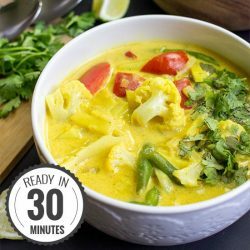 The easiest curry I have EVER made is this cauliflower curry, and in terms of effort vs taste ratio, I have never found a better curry. And although I prefer cucumber raita with Indian curry to Thai or Asian, this green curry shouldn’t be overlooked, particularly if you have all the ingredients that need eating up! 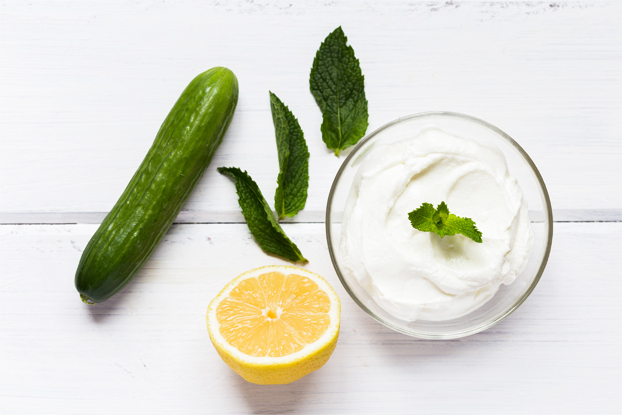 Cucumber Raita – know your (spice) limits! Everybody has their favourite level of spice, whether it’s a mild, creamy dish like korma or tikka masala, or something much hotter like a vindaloo or phaal. After extensive testing of many, many curries, both home-made and restaurant-created, I can safely say I fall somewhere in the mid-upper range, with around a madras being my favourite spice level. In a restaurant I often order a veggie tikka masala, but ‘madras’ hot, and I’m happy to say most chefs get it right. I highly recommend experimenting with this yourself! 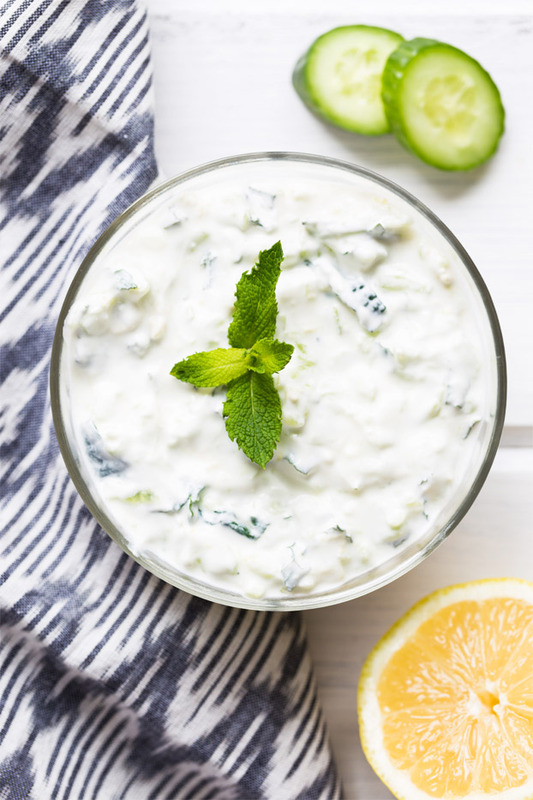 One of the greatest things about cucumber raita is that the cool yoghurt can be used to take away any excess heat and spice – so don’t be afraid to play around with your food. If you do happen to make a curry that is just too hot – don’t waste it! Eat slowly, and take a small spoonful of raita with each bite. It is also possible to train yourself to eat spicier foods (I’m living proof). And whatever you do, don’t drink water to try and take away the heat – it’ll make it worse! Reach for a bowl of raita, instead. 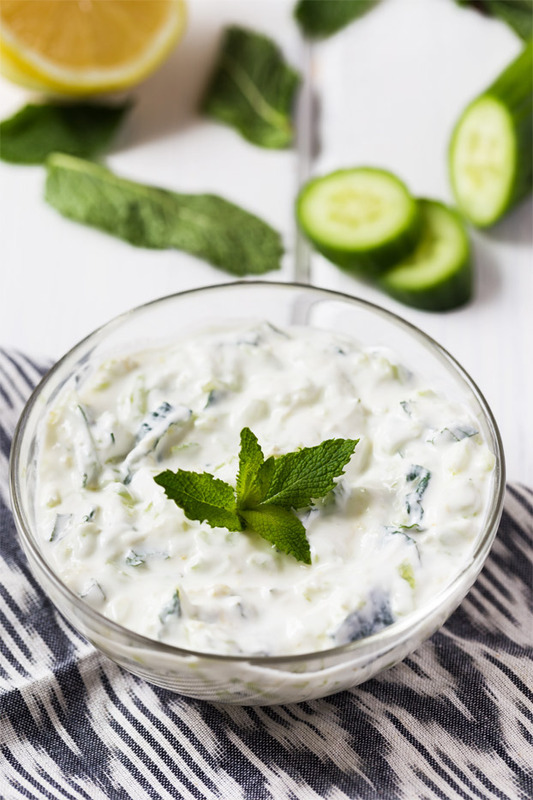 The ultimate companion to any curry, this cucumber raita is incredibly quick and cooling - a refreshingly perfect side dish. Peel then grate the cucumber. 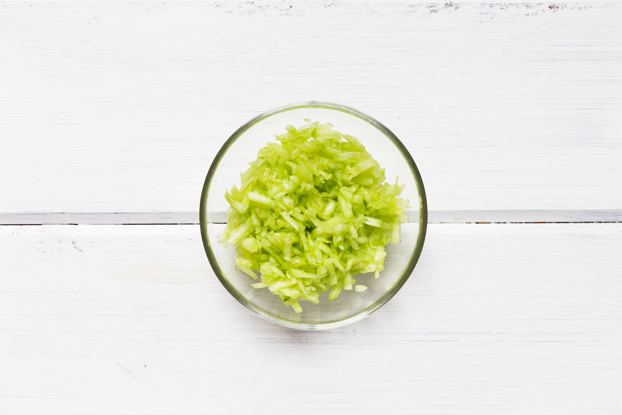 Place into a bowl and squeeze out excess water with your hands by pressing the grated cucumber towards the bowl rim. Pour away the unneeded water. Now mix in the yoghurt. Chop the mint leaves and add along with the lemon zest and salt (only the zest, no lemon juice necessary). Done! 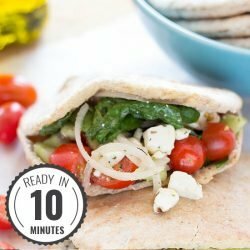 This dip is obviously great with a naan and a curry. But it also goes very well with anything roasted - like potatoes or pumpkins. Superb! IF YOU LIKED THIS RECIPE: Then you should deffo try out the evergreen Black Bean Lime Dip, and our personal newcomer fave, the Baba Ganoush. Dave in India we usually garnish a raita by sprinkling roasted cumin powder. Some people also add a sprinkle of chilli powder. But only a sprinkle. The cumin adds great flavour to the food and the colours of the garnish have nice visual appeal. 🙂 personally I love a sprinkle of powdered pepper sometimes. raita…so awesome and cool for puffy under eye area!! Ha cool idea! I probably do need it right now too :D. Thanks!